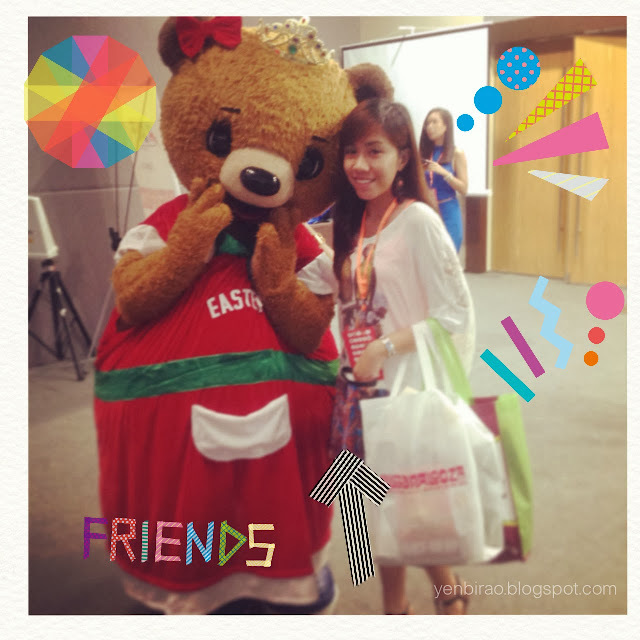 Before I start sharing my Blogapalooza experience, let me tell you first what this event is all about. Blogapalooza is a business to blogger networking event. It's a community where in small and big businesses present their product/brand to hundreds of influential bloggers and online social media influencers. It was hosted by Vince Golangco (DJ at Mellow 94.7, TV Show host of Tek Tok TV and Publisher of WhenInManila.com), who's also the one that started this event along with Francis Simisim (CEO of Gang I.T. Ventures Inc., online marketing specialist and blogger on TechFilipino.com) and Anton Diaz (one of the top online personalities in the Philippines and blogger at OurAwesomePlanet.com). Some of the speakers were Monster Radio RX 93.1's Karen Bordador and Magic 89.9's Slick Rick, Tony Toni and Sam YG of Boys Night Out. I love how Karen finished her talk by sharing to us her motto/mantra in life--that is to continue improving yourself each day. She said that she always make sure she was able to do new things every year. I was inspired coz I was really planning and working hard to do the same thing. Can't wait for 2014! You see that cute piggy bank over there? It's for the PiggyBank Movement, Blogapalooza's mission to raise funds for the victims of Typhoon Yolanda. I'm happy to say that I was able to help raise that Php 82,000 which Blogapalooza donated through World Vision. Yay!